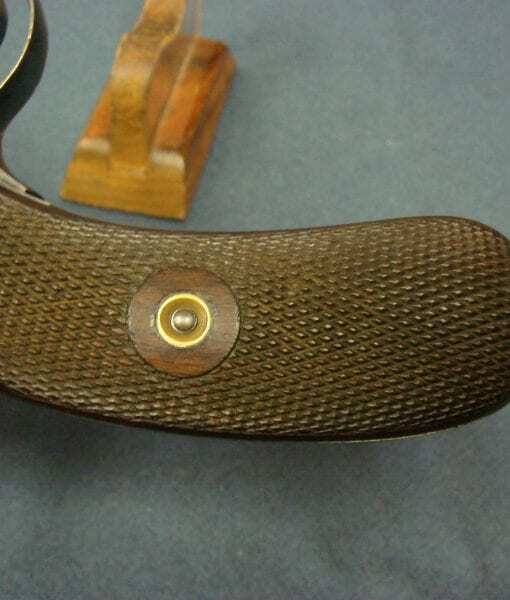 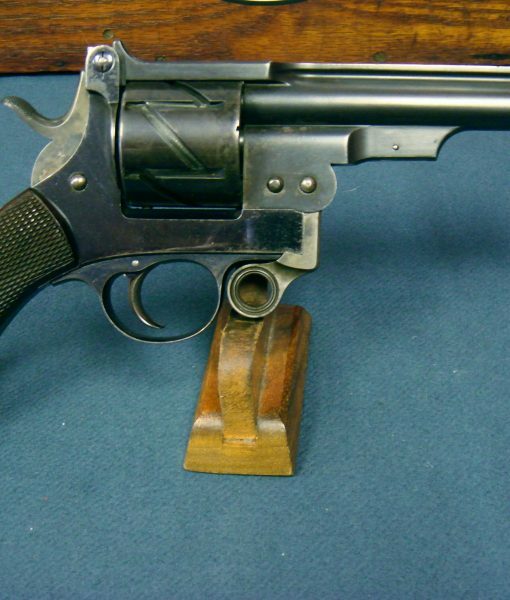 SOLD ULTRA RARE MAUSER MODEL 1878 “ZIG ZAG” MILITARY REVOLVER IN 10.6mm…….STUNNING CONDITION!!! 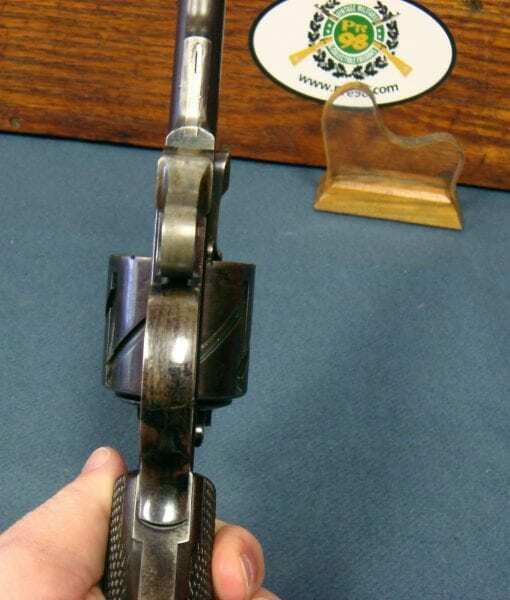 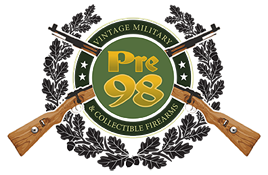 In antique excellent condition, we have an exceptionally rare Mauser 1878 C78 Zig Zag German Military Trials Revolver in 10.6 x 25 German Ordnance Caliber. 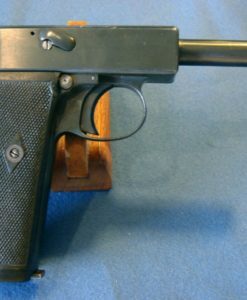 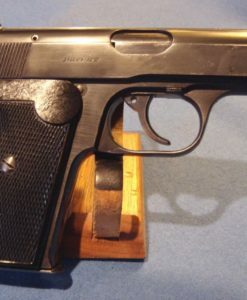 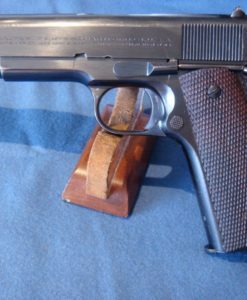 This is an all matching early production pistol #781 that was the Mauser entry into the Trials to replace the Needle Pistol. 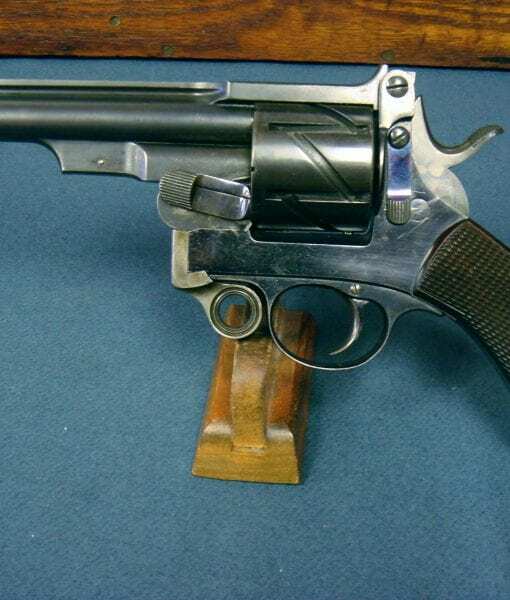 While this revolver performed very well during the testing phase it was not accepted for service due to its complexity and another entry was selected that was to become known as the Model 1879 Reichs Revolver. 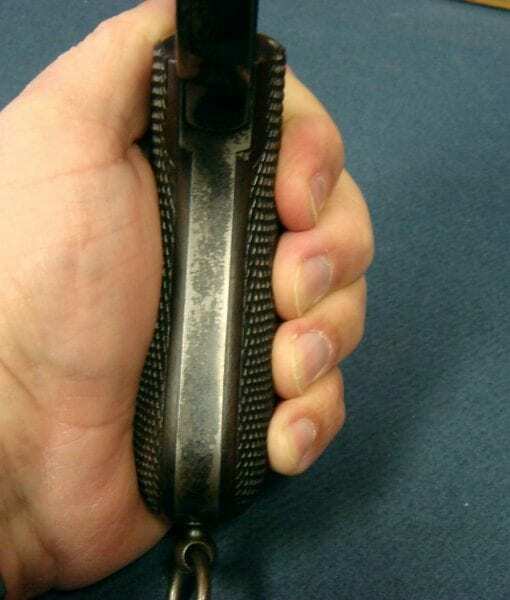 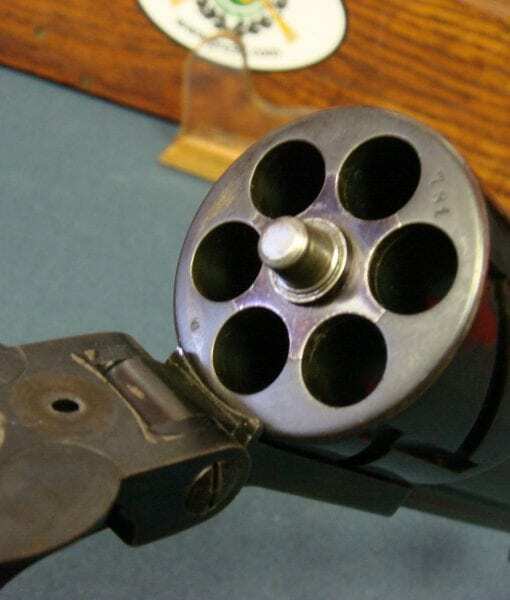 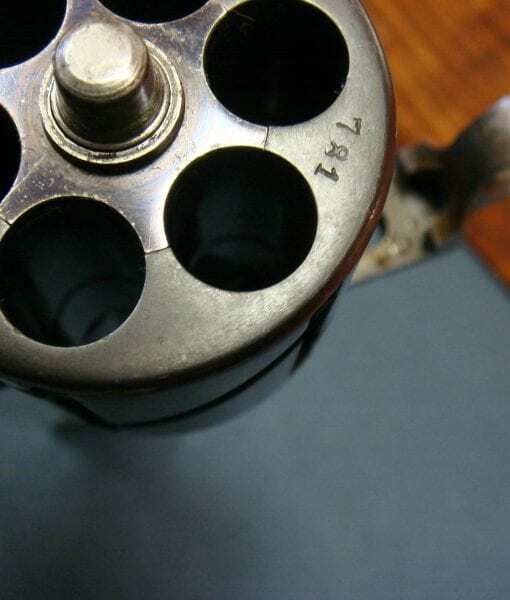 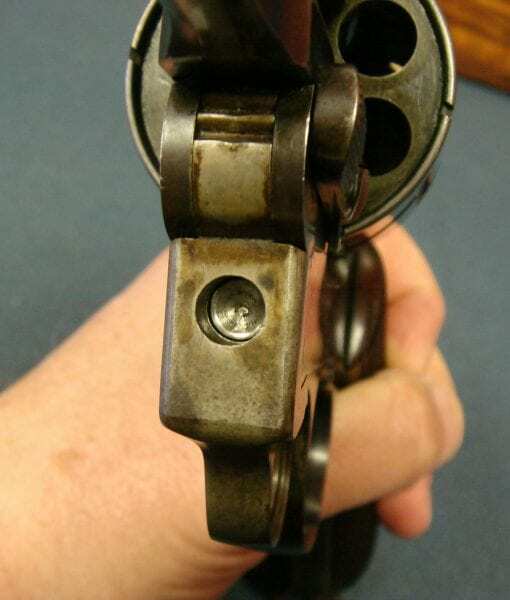 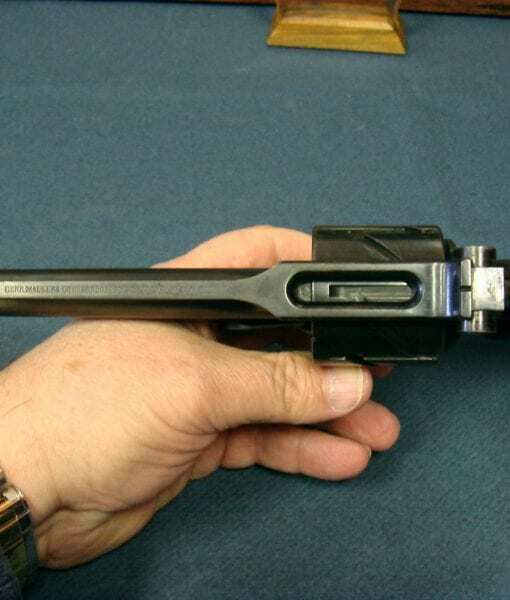 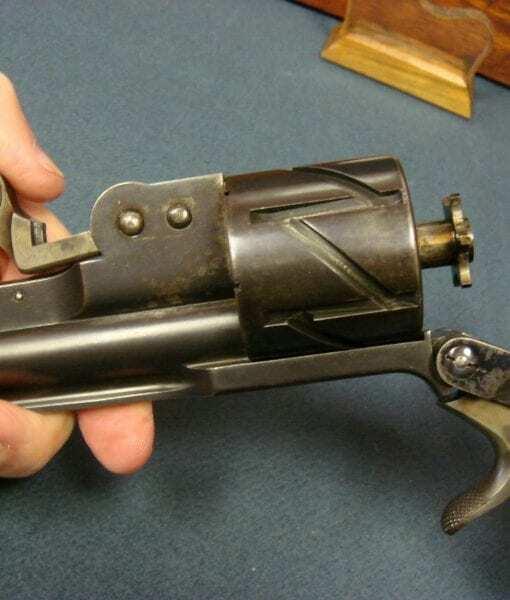 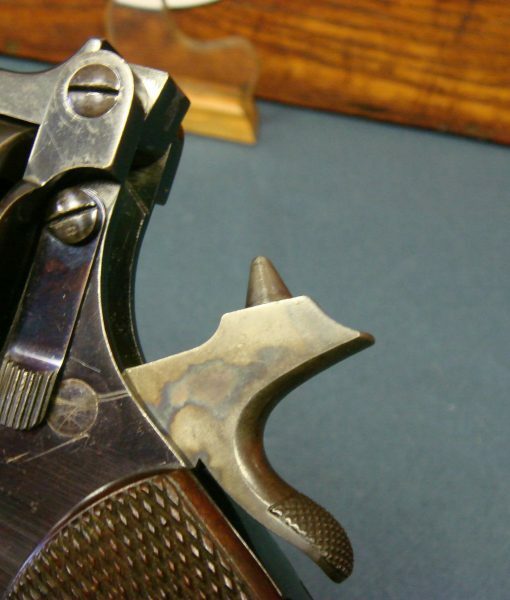 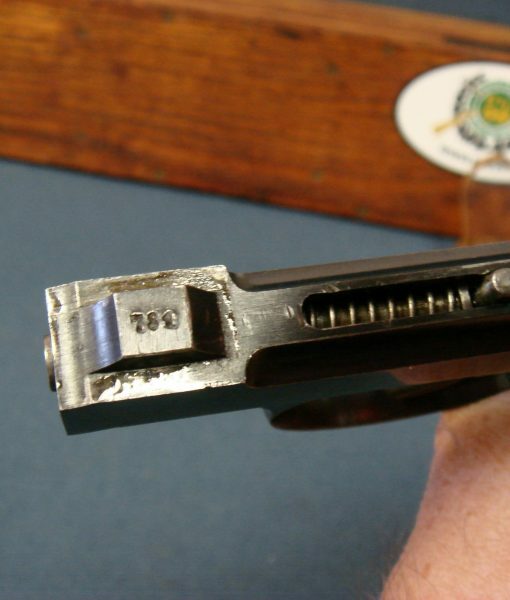 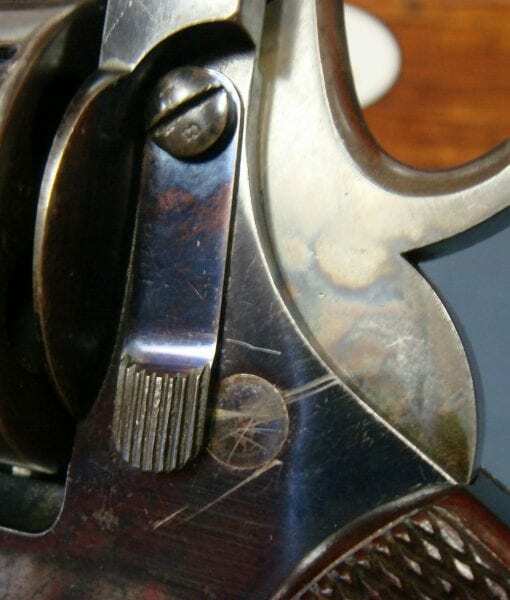 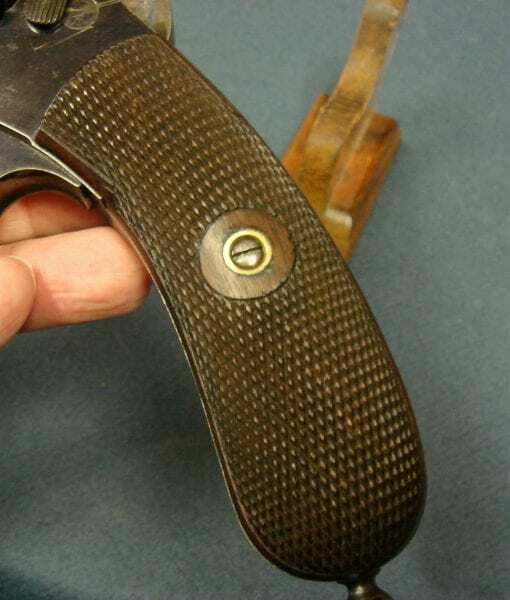 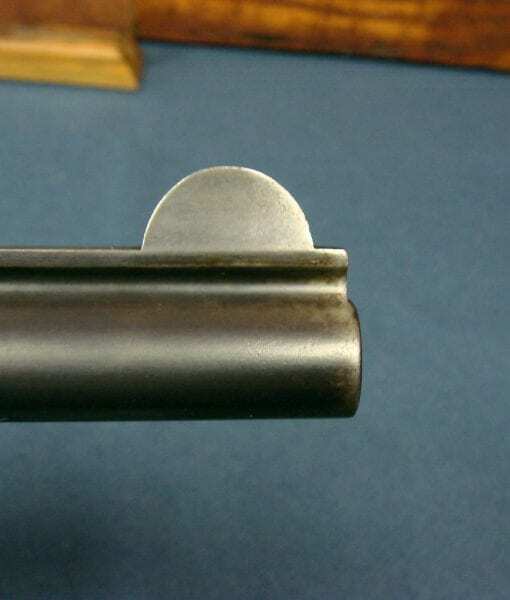 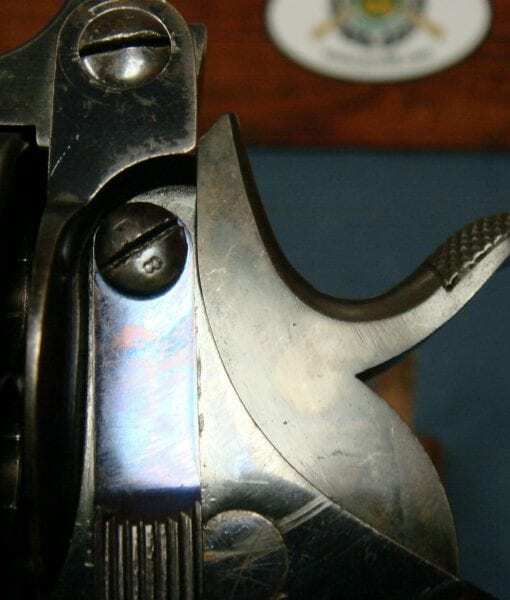 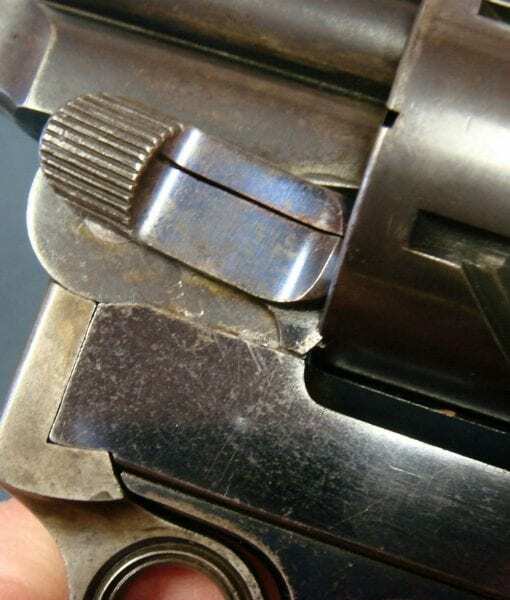 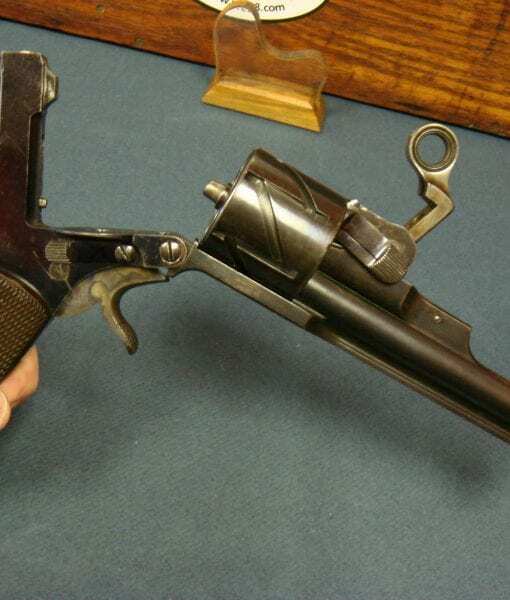 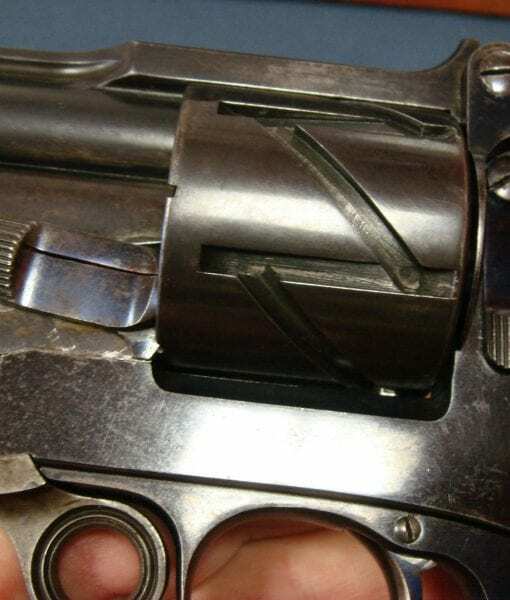 The revolver is known as the “Zig Zag” for the tracks in the cylinder that rotate it. 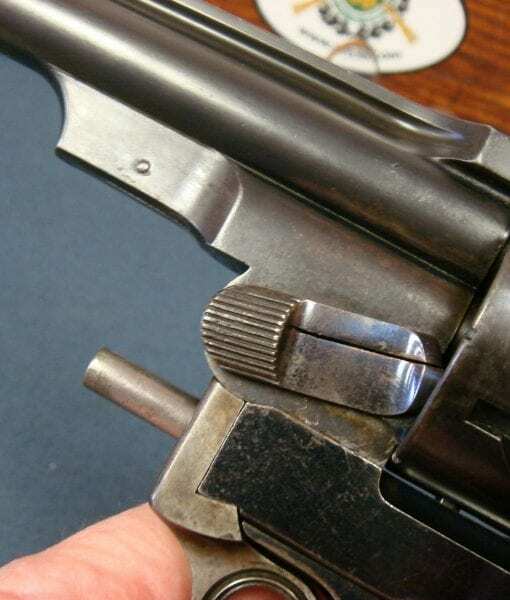 The revolver is a single action hand gun with a very unusual tip up feature to load and unload it. 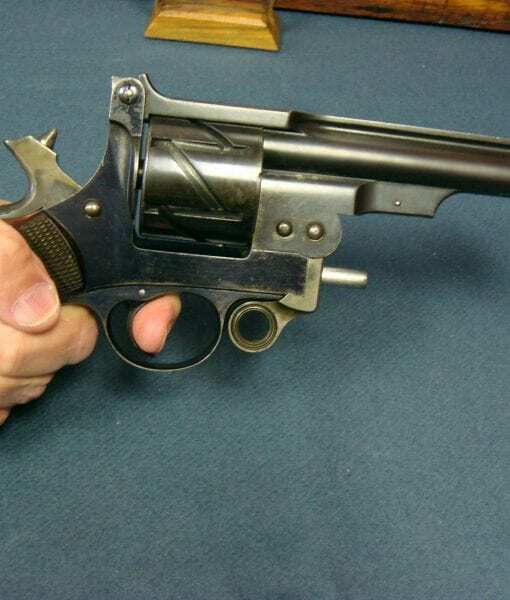 This revolver was made in several other calibers but the military trials gun is the rarest variant. 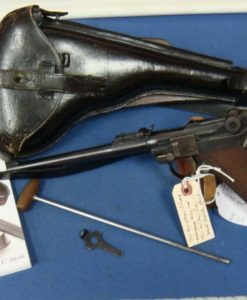 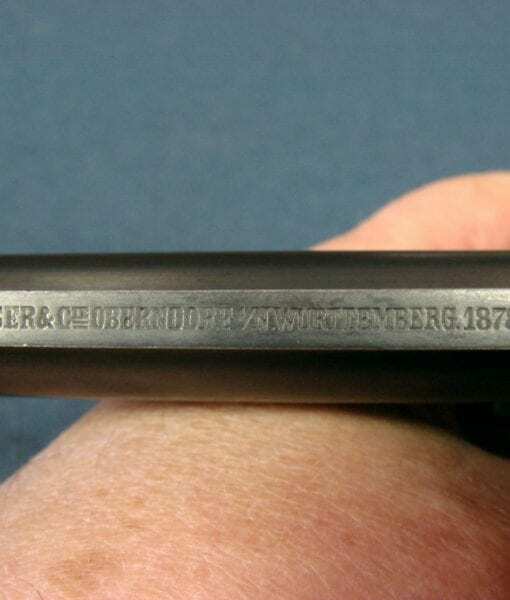 This is a very important Mauser firearm and German Military side arm that is rarely ever seen let alone available for purchase.